The moment you’ve been waiting for is almost here. But before you get behind the wheel of your very own Volkswagen, you need to figure out how to make the numbers work for you. With Volkswagen Finance, you’ll find everything you need to choose the best purchase option for you. You can do it right here, in just four easy steps. 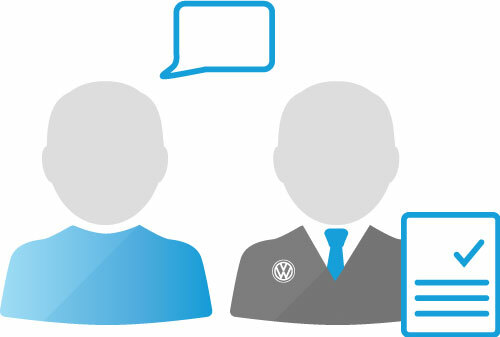 Or, if you prefer a one-on-one conversation, one of our experienced Financial Services Managers at your preferred Volkswagen Dealer would be happy to help. Researching a new car is exciting. Researching your purchase options? Not so much. But worry not, we’re here to help you find the right solution. 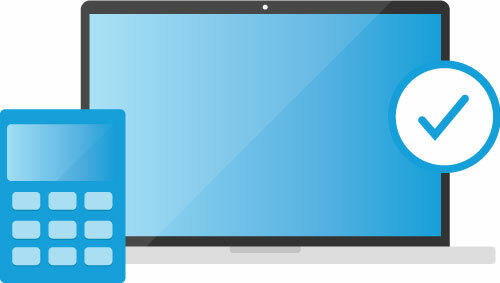 Use our build and price tool to get a better idea of all the numbers involved1. And if you’re still a little unsure, just ask one of our experts and they’ll guide you through it. Once you’ve picked the option that works best for you, set up an appointment with your nearest Volkswagen dealer. After all, once you get to the dealership, you’re going to have only one thing on your mind – getting into your new Volkswagen. Not sure which option is right for you? Watch the video below to learn more about leasing vs. financing. Driving away in a new Volkswagen feels great. Driving away with a great deal is even better. So ask your local Dealer if there are any rebates that you may be eligible for. Now is also the best time to talk to your Dealer about protecting your new Volkswagen. Ask us about our Volkswagen Protection Plus suite of products. We have plans that keep your vehicle like new with Appearance Protection, plans that cover you during unexpected breakdowns with Mechanical Breakdown Protection, and keep you in your Volkswagen with plans such as the Vehicle Loss Privilege Program, and Loan Protection. Watch the five videos below to learn about some of these available products. Congratulations, you’re a Volkswagen owner! But there’s more icing on this cake. Register for Volkswagen Plus and enjoy the latest VW news, schedule your next appointment and get a front-row seat to Volkswagen event taking place across the country. 1 Prices are an estimate only and may not include taxes, fees or levies which vary by province. Contact your authorized Volkswagen Dealer for full and accurate pricing. 2 Loyalty discount on Volkswagen Special Rates offered through Volkswagen Finance. Applicable to all eligible current Volkswagen owners and previous Volkswagen Finance customers who have terminated a lease or finance contract with Volkswagen Finance within the past 90 days (some conditions apply). Offer is applicable on a finance/lease through Volkswagen Finance only, on approved credit, on all unregistered new/demonstrator 2017 and 2018 Volkswagen models. The loyalty interest rate will not be below 0.0%. Valid identification and proof of valid ownership/lease of current Volkswagen that has been active for a minimum of 90 days and in good standing is required. Valid on new accounts only. Vehicles currently being financed/leased with Volkswagen Finance are not eligible for the rate reduction. Offer is transferable to primary/co-primary buyer and/or another family member in the same household. Offer is non-exchangeable for cash. Offer expires August 31, 2017, and is subject to change or cancellation without notice. Visit your Volkswagen dealer for details. “Volkswagen” and the Volkswagen logo are registered trademarks of Volkswagen AG. © 2017 Volkswagen Canada.